While at college, I occasionally dropped in on The Narnians, a group of ladies who gathered in Whitley on Friday evenings to read books aloud while drinking tea and eating biscuits (or scones, or cheese, or the like). They started, obviously, with the Chronicles of Narnia; but having finished all seven by the end of their freshman year, they moved on to other books: The Hobbit, House at Pooh Corner, possibly The Wind in the Willows, that sort of thing. 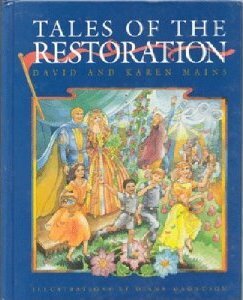 Then came the days during my junior year when someone pulled out David and Karen Mains’ books Tales of the Kingdom, Tales of the Resistance, and Tales of the Restoration. Oddly enough, it wasn’t the first time these books came up at Hillsdale. I recall spending a goodly portion of a McIntyre-Niedfeldt barbecue sitting with my friend Jackie and our new friend Matthew. Most unfortunately for Jackie, I had trouble shutting up because Matthew and I had gotten onto books – those from childhood, those read for school, and whatever lay in between. 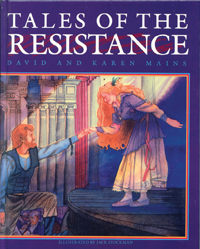 Somehow Tales of the Kingdom and Tales of the Resistance came up. I lent them to Matthew at the earliest opportunity. I took my books back, and reread them, wondering how I’d failed to notice something so awful…and concluded that (with all due love and respect for Matthew) he had read them all the wrong way. So please avoid the Tales when you are in Deep Critical Thought and Analysis mode. Not that they cannot be analyzed, but I reckon you will miss the sounds and smells of Enchanted City, the wonder of the silent gate welcoming all who hunt, the destructiveness of the Enchanter’s flames and the joy of the Great Celebration. You will fail to be moved by the girl called Dirty, or Sighting Day, or what happens when a Ranger deviates from his duty, or what happens when you let a little dragon grow into a big dragon. 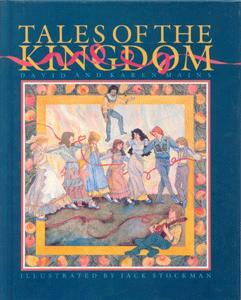 And what is worse, you’d miss Hero’s return to Enchanted City, and the story of how the King saved the children from the sewers, and taught the playgoers the best story of all, and how the heralds learned to speak, and how the carnival daughter was led out of madness. You’d miss the terrible scene at Burning Place and the flames of the Great Dance! The world goes not well. I have never heard of these books! Interesting. These were recommended to me years ago by a dear friend! 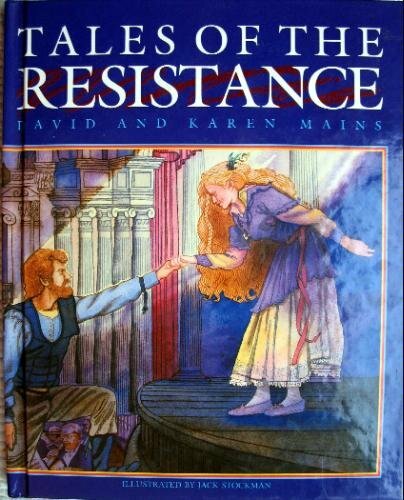 In fact, the first book has actually been part of my parents’ library since I was a child, but somehow always got overlooked — one of those books that hides on the dusty bottom shelves in the old study for years on end. I haven’t read it yet, but am eager to, from what my friend said. Your added recommendation makes me even more eager, though I fear to read it without having the other two quickly on hand!